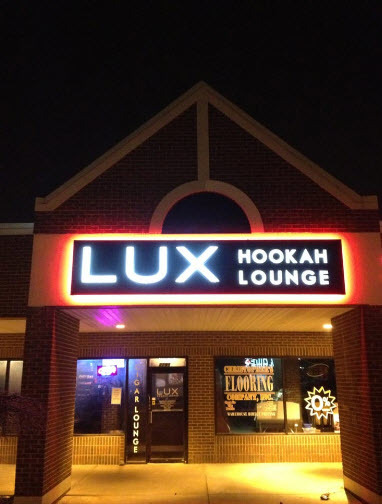 Located in Rochester Hills, Michigan is Lux Hookah Lounge - the largest hookah bar in the state. They’re known for their party vibe and high end hookah experience. Lux considers hookah smoking an artform and is dedicated to providing their customers the best hookah experience. Every seating area has its own TV and remote control so guests can watch whatever they like. With their fine leather couches, chandeliers, glass water pipes and even cigars, Lux proves itself to be the most high-end hookah lounge in the area. In 2012, Lux ordered the Habibi Altera 3400S with a kitchen printer, from Cafe Cartel Systems. This solution was designed specifically for the Hookah industry. By using CCS, Lux servers can schedule reservations and assign orders to tables and keep tabs on them. Food orders are sent to the back kitchen printer, where the cooks can begin preparing the order. Additional items can be added to the tab throughout the night. Checks can be split in a variety of ways: split by seat, split by group, split by number of checks, or simply by applying payment amounts. Tips are easily inputted and can be applied after the order screen is closed. Sales data and reports can be pulled periodically throughout the shift. However, at the close of day, CCS emails daily reports to the manger and owner designated in the system. Managers can even remote login while off site to oversee operations. CCS offers several different menu layout styles for hookah lounges. Whether it be based on the hookah product or based on the number of customers. Essentially, upon assigning a table, servers will select a category from the right hand side of the order screen. These category buttons range from shishas, cigars, house mixes, refreshments and retail. Clicking on the category button takes the server to the different options, including the different products and their sizes. Each product will have the gram count in the bottom right-hand corner of the button which displays the current inventory count. As these items are sold, inventory is deducted in real time. A priority of Lux’s was to have a POS system that offered loyalty and rewards programs. By using their CCS POS system, they can assign orders to different customers. Customers can be looked up via a mag card, phone number or email. The software will then update and track all loyalty points earned which can eventually be applied for credit on a future order. A tally of each customer's points will be printed on their receipt so that they can choose when they would like to redeem them on a future date. All CCS systems come with flavor mixing and merchandising functions specifically designed for hookah lounges. Standard features and integrations include employee time clock, payroll, labor scheduling, purchase orders and much more. To review your hookah bar’s needs with an industry consultant, call 866-973-8099 or request a quote today. Cafe Cartel has been providing the industry with POS systems since 2004 and has variety hardware options and price points that will be sure to meet your unique needs. Located in Lewisville, Texas is Tappy’s Yogurt. Since 2009, Tappy’s has been the locals favorite froyo shop. Each day they offer 16 different flavors that range from non fat, energy boost, no sugar added, low fat, sorbet, non fat tart and greek yogurt. Within these categories, flavors range from fruits, desserts, coffee and much more. Tappy’s offers 50 different toppings such as sauces, fresh fruit, candies, cakes, nuts, seeds, cereals and much more. Tappy’s prides itself on allowing their customers to be creative with their tastes and get the best out of their frozen yogurt experience. Upon opening in 2009, Tappy’s Yogurt chose Cafe Cartel as their POS provider. With NTEP approved scales, CCS provides integration with their POS software. 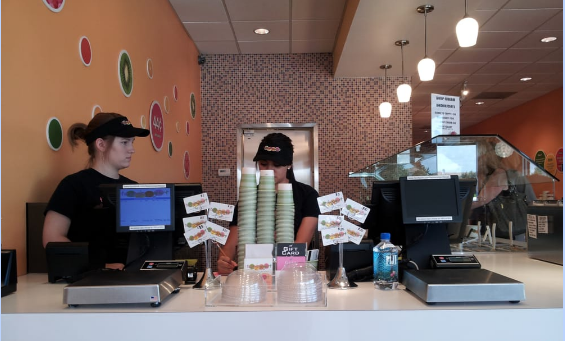 From the order screen, cashiers will select yogurt and then indicate the amount of cups on the scale and the cup sizes. This tares the weight of the cups out of the total price so just the yogurt itself is being weighed. The scale weight will appear next to the order total. From here the cashier can then accept payment and close the order. Tappy’s chose to order two complete systems to ensure faster checkout times for their customers. Another primary reason for selecting Cafe Cartel, was their free rewards and loyalty programs. These include both “buy x, get x free” and points programs. Customers can easily be looked up by a loyalty card, phone number or their email address. CCS will assign their purchases to their account and track their points or free yogurt earned. The points program for example, will show their points earned on the customer display and print the points on their receipt. These can then be redeemed for their purchase when the customer so desires. To see these integrations in action, check out of the demonstration video on Cafe Cartel’s YouTube page. In addition to Tappy’s two desired functions, was employee timeclock, inventory, purchase orders, reporting, reconciling and QuickBooks integration. With Frozen Yogurt installations across the world, CCS has built their solution around the needs of the industry. Their technical support service and routine maintenance ensures that their systems are running efficiently. You won’t find a more cost effective, reliable solution around. Additional options include, NFC/Chip payments, surveillance systems and remote login. To review your needs with a frozen yogurt consultant, call 866-973-8099 or request a quote today. 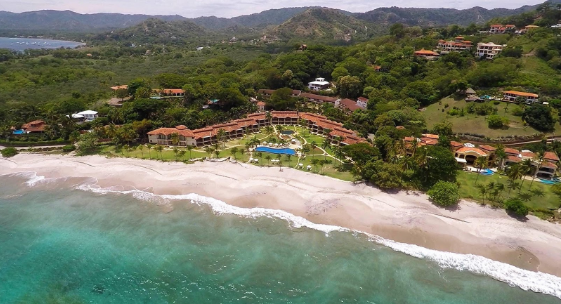 The Palms is comprised of 32 private residences on the beaches of Playa Flamingo in Costa Rica. These residents experience unparalleled beachfront living and access to various activities and amenities. Some of these include a beachfront bar and restaurant. Just 15 miles south of the property, residents can also take a short trip to Costa Rica’s nature preserves and national parks. From there they can soak in a hots springs, enjoy a waterfall and watch both monkeys and sloths dangling along vines. As it turns out, it is possible to live in paradise. Upon opening in 2010, The Palms wanted to add a beachfront bar and restaurant to their private club. Thus they began looking for a Point of Sale system. Some of their requirements included, worldwide support (since they’re located in a remote location) and purchasing POS software only, since they wanted to provide their own hardware. With this in mind, they started researching POS companies. The Palms had a technical consulting company do their initial research. This way they had an expert’s opinion on the quality of the different systems. This is what lead them to Cafe Cartel. With CCS, The Palms was able to purchase software only. All training and install was done remotely by CCS. Since CCS provides support worldwide, The Palms gained access to continuous technical support and software upgrades regardless of the distance. CCS has designed their POS features specifically for the bar and restaurant industry. With their new system, The Palms gained access to easy tabs and pre-auths, VIP/Table and bottle service, built in drink recipes, customizable menus and much more. Non industry specific features include, employee timeclock, labor scheduling, reconciling, reporting, purchase orders and inventory control. To see how CCS can meet the needs of your bar and restaurant, call 866-973-8099 or request a quote today. Located in Brooklyn, New York is Alex’s Discount Liquors and Wines. 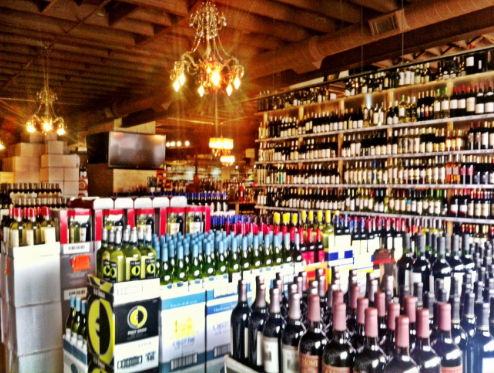 Since 2011, Alex’s has supplied both wines and spirits to the local area that range from everyday, to high end options. About a year after opening, Alex’s business picked up so much business that they moved across the street and became Liquors and Wine Outlet. This larger location allowed them to stock more desirable options and provide a higher level of customer service to their customers. When Alex’s first opened they wanted a Point of Sale Solution they could grow with. Which is why they chose Cafe Cartel Systems - the leading POS provider to the liquor store industry. When they first opened they started with only one terminal. But as they expanded over the years they began adding more terminals to the store - totaling six. While CCS Point of Sale terminals can each handle admin, delivery, inventory and sales features, Alex’s chose to add more terminals for the following reasons. The first is adding a system for the back office so that the manager can do inventory, create purchase orders, complete payroll and reconcile accounts without interrupting the main terminal. Secondly, having multiple terminals allows staff to keep lines short and prevent long wait times. Delivery orders can be placed at any terminal and will send out a notification to the driver with the order details and address. Since Alex’s provides delivery service, this option became incredibly useful to them. Cafe Cartel has designed their turnkey POS system specifically around the needs of the liquor store industry. With a 5000-12000 inventory item list, CCS is proven to be easily installed and provides managers with complete oversight. CCS comes with item location tracking, case and split case pricing, age verification, lottery payouts and reports, as well as a drink database of over 6000 recipes. To see how Cafe Cartel can help your liquor store’s growth, call 866-973-8099 or request a quote today. Located in Spring Creek, Nevada is Mudd Hutt; a locally owned and operated coffee shop. Since 2011, Mudd Hutt has been serving specialty coffee drinks, smoothies, tea and wheatgrass shots, alongside baked goods and various breakfast items as well. Their customers cannot only sit down to enjoy their coffee in the shop, but they also have a drive thru as well to provide convenience to their customers who are “on the go”. Mudd Hutt’s owner was originally an Elementary School teacher of 25 years in the local area before pursuing her dream of owning her own coffee shop. Many of their drinks names are influenced from her work as a schoolteacher. Their Spartan Latte is by far their most popular drink. The coffee shop’s logo and decor is greatly inspired by the owner’s Basque heritage. The steam of the logo is the Basque Lauburu, otherwise known as the cross symbol. In 2014, Mudd Hutt expanded their business to the Elko area and opened up a second location. 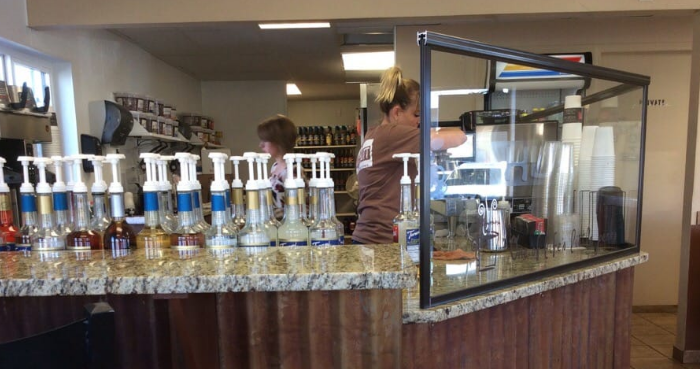 Before their opening, customers had to drive into Spring Creek to get their coffee fixings. By expanding their business to the area, they tapped into a new customer base with an already effective business model. With their expansion they were able to use what worked and discard whichever processes that didn’t meet their standards. One of the things they carried over was their CCS POS system - which they had be using for 3 years at their original location. Mudd Hutt is all about making sure their customers are happy and earning their business. Which is why they take advantage of the rewards programs they can offer their customers by using their CCS POS system. CCS has a points program in which, the cashier can look up customers by phone number, name or swiping a card. This feature tracks all dollars spent and the amount of points the customer earns. The customers earned points will be visible on the customer display while ordering and will print on receipts. They’ll be able to choose when they want to apply them to the order. CCS also offers “buy 10 get 1 free” features as well. These programs are easily setup and intuitive to use by staff members. Because Mudd Hutt has an inventory system designed specifically for coffee shop sales, they are always able to have an accurate perspective on their profit margins and inventory levels. When setting up an item in CCS, they can use the item builder feature, which allows them to list the items and portions (the recipe) that goes into making each drink. This includes the amount of milk, espresso and even disposable cups the store stocks. This totals up the exact cost it takes to make the drink. When a cashier sells this item, the appropriate portions are removed from their inventory count and their profitably will be accurately updated in their reports. CCS coffee shop users gain access to features such as labor scheduling, employee time clock, reconciling, reporting and much more. To review your coffee shop needs with an industry consultant or to test out the software for yourself, call 866-973-8099 or request a quote today.